as a hub of life's many pleasurable things, paris isn't short of new ventures that excite the senses. 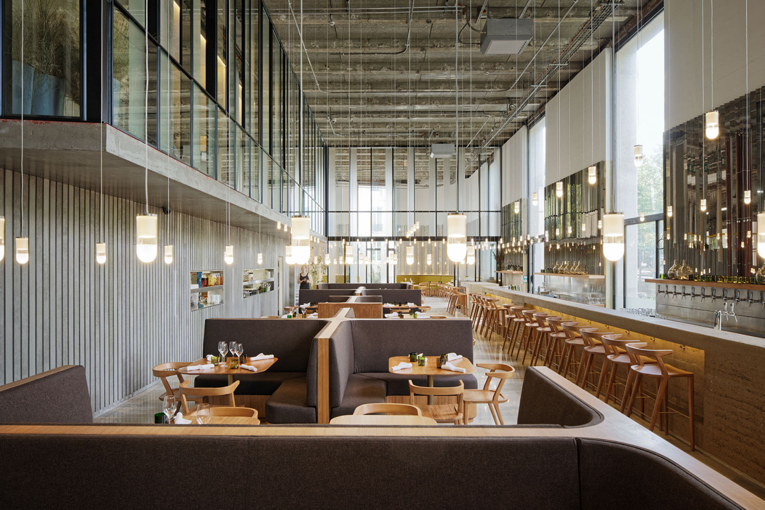 on the expansive premises of palais de tokyo, one of the city's premier venues for contemporary art, a new dining space has opened that aims to indulge visitors on more than one level. 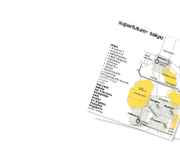 following the closure of the venue's popular restaurant tokyo eat last december, niche hospitality group quixotic projects has taken over the spot, launching a new and alluring restaurant. it's obvious to see les grands verres is a far cry from its predecessor. designed by paris-based lebanese architect lina ghotmeh, sophistication and elegance have gone up quite a few notches. 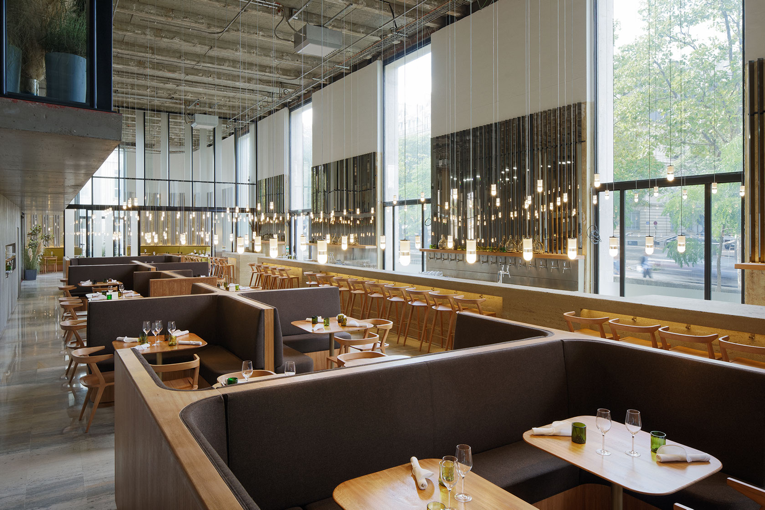 the dining venue flanks one side of the building, right along avenue du président wilson, and is marked with high ceilings and floor-to-ceiling windows that allow in floods of daylight. the new interior design features clean lines and a certain level of minimalism that's quite agreeable with the elongated dimensions of the space. les grands verres comes with an adjacent cocktail bar and lounge called readymade, and features a chunky bar, made from rammed earth, polished marble flooring, chairs upholstered in demure burgundy and soft blue fabrics, and playful tiered seating arrangements with cushioned benches and sleek brass side tables. behind a see-through curtain, the dining area proceeds with a slightly adapted aesthetic. a similar bar, but here measuring 18 metres, extends all the way to the back of the establishment, and is directly situated opposite a series of cozy booths with matching timber furnishings. 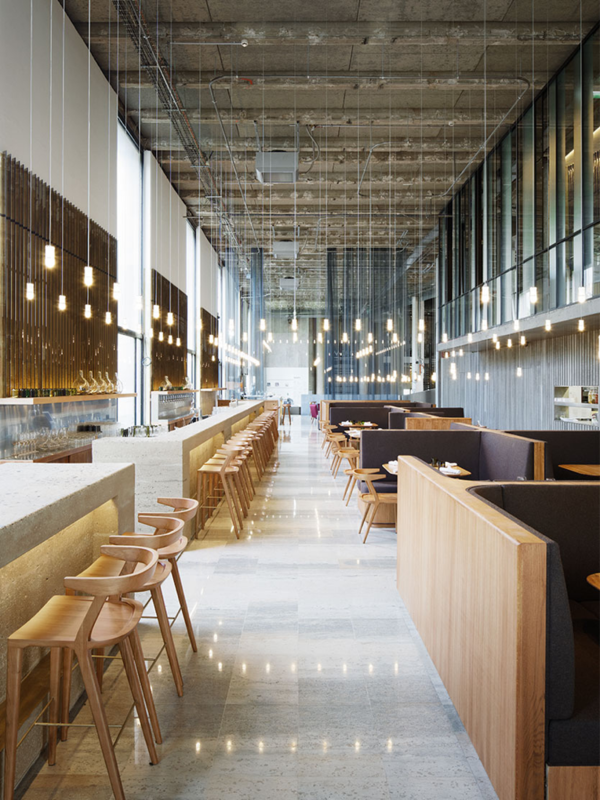 both the marble flooring and a linear configuration of pendant lamps tie in the bar and restaurant. at the far end of the dining space, a separate dining room can be found. taking centre stage here is a large custom-made table, in a shap that can be best described as a three-leaf clover, seating no less than 22 people. 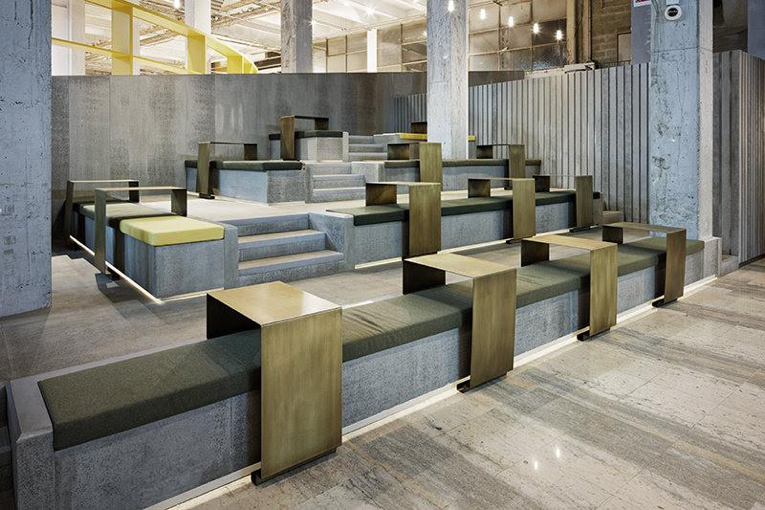 it's surrounded by seating arrangements that line the walls. the abstract wall decorations that adorn the premises are slightly tweaked in here, and shown to their full advantage. and that's not all, folks. a 200-seat outdoor terrace is readily available when weather permits. it's preston miller, a young chef with stints at celebrated venues stateside under his belt, who helms the kitchen at les grand verres, offering mediterranean-inspired lunch and dinner menus with seasonal local ingredients. 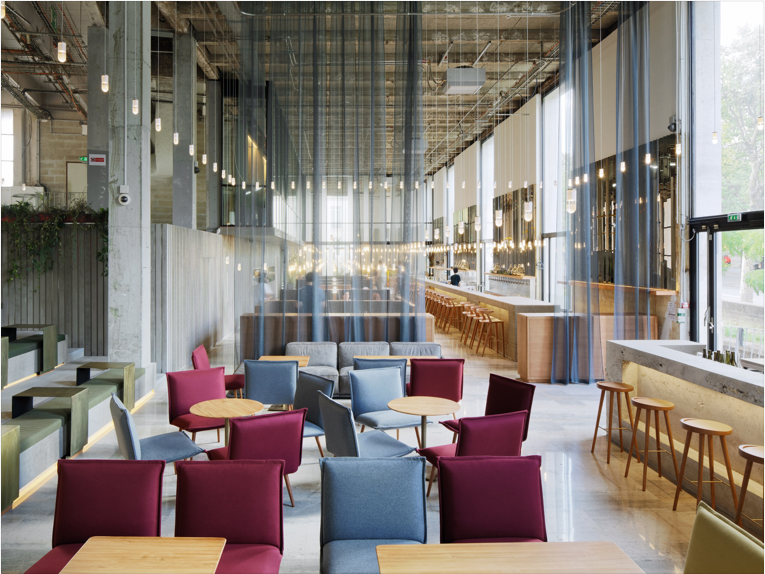 being a modern dining concept, the venue has embraced low-waste practices by utilizing reusable bottles and containers, and participate in on-site composting. location: palais de tokyo, 13 avenue du président wilson [chaillot].